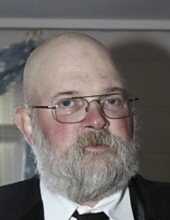 Terry L. Heasley, 61, of Franklin, previously of York, passed away on Sunday, January 20, 2019, surrounded by his family. Born on April 18, 1957 in Franklin, he was the son of Glenn R. and Ruth E. (Griffin) Heasley. Terry was a graduate of Franklin High School. Terry retired from Harley-Davidson Motor Company in York, where he worked as a laborer for over 20 years. There wasn't a day that went by that Terry didn't want to be outside doing the things he enjoyed. He had enjoyed riding around on his motorcycle, when he was younger, and was always an avid dirt track racing fan. Terry was a skilled hunter and enjoyed gambling. Most of all, Terry cherished the time he spent with his granddaughter, Raegan, his family, and many friends. Terry is survived by his son, Jason Heasley and wife, Nicole, and granddaughter, Raegan Heasley, all of Franklin; sister, Mary Elaine Ray of Franklin; half-sister, Debra Sue Reagle and his nephew, William Reagle, both of Enon, OH; nieces, Heidi Matchett and husband, Jason, of Sterling, VA and also Gretchen Stackhouse and husband, Mathew, of Cooperstown; and his several close friends. In addition to his parents, Terry was preceded in death by a brother, Roland Heasley; a niece, Crystal Lynn Ray; several aunts and uncles; and friends. Family and friends will be received at the Gardinier Funeral Home, Inc., 1315 Chestnut Street, Franklin, PA, on Friday, January, 25, 2019 from 5 pm - 7 pm and on Saturday, January 26, 2019 from 2 pm - 3 pm. Funeral services will be held for Terry on Saturday, January 26, 2019 at the Gardinier Funeral Home, Inc. starting at 3 pm, with Reverend Curtis L. Tate, officiating. Memorial contributions can be made in Terry's name to the Kirtland Cancer Foundation, P.O. Box 108, Franklin, PA 16323, and/or to the Venango County Humane Society, 286 South Main Street, Seneca, PA 16346. To send flowers or a remembrance gift to the family of Terry L Heasley, please visit our Tribute Store. "Email Address" would like to share the life celebration of Terry L Heasley. Click on the "link" to go to share a favorite memory or leave a condolence message for the family.